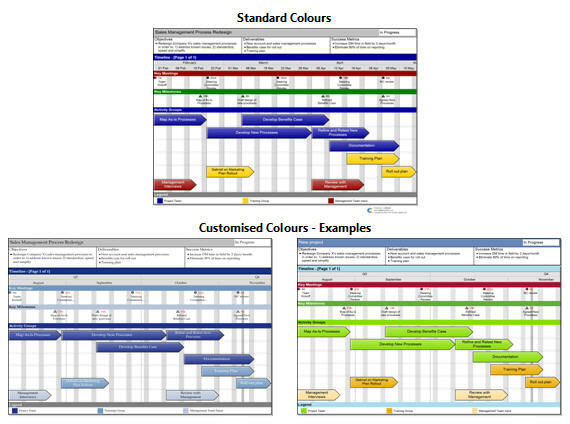 Swiftlight’s practical planning structure, high quality “PowerPoint-like” graphics, and speed and ease-of-use, make it a great tool for time-pressured consultants. Why? 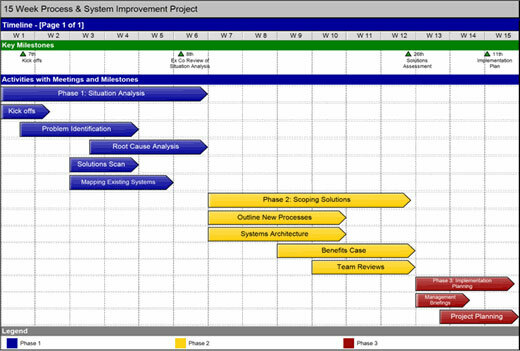 Swiftlight facilitates the visual, “top-down” planning approach that many consultants use, helping you quickly create great-looking timelines and other outputs for immediate use in presentations or proposals, and saving you huge amounts of time over planning or communicating projects using Excel or PowerPoint. How Exactly Can Swiftlight Help You? A PDF document with 55 pages of advice, examples and other tips, centred on the “seven uses of swiftlight” shown in the video. Example Swiftlight files for you to download and use for ideas or as templates.